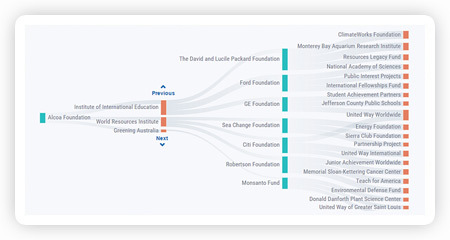 Foundation Maps brings philanthropic data to life, making it easy to understand who is funding what and where around the world. 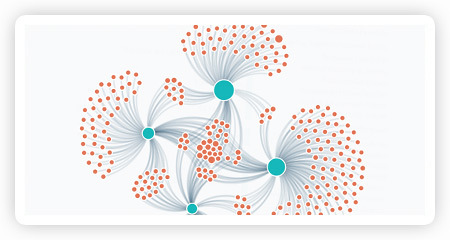 Foundation Maps Professional State-of-the-art data visualization features support even the most sophisticated searches. 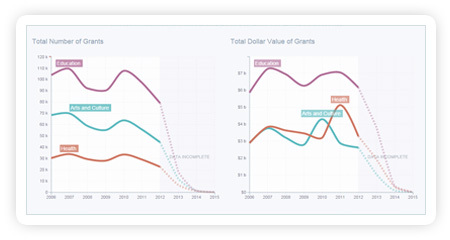 Explore who is funding in particular areas of interest, including subject, geography, population served, and type of support. 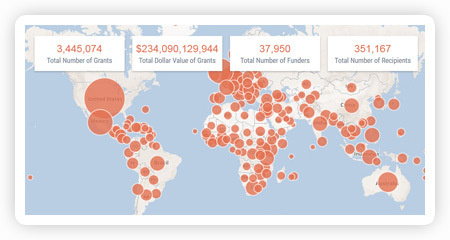 See where grants are doing good around the world. 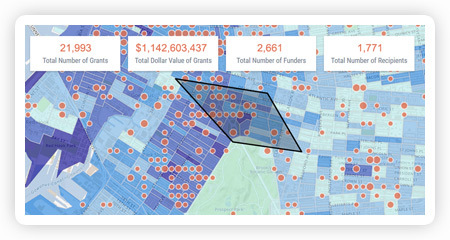 Overlay demographic data to demonstrate the need for funding in a region or subject area. Discover new partners for collaboration and community in an innovative interactive display of the flow of grant dollars. 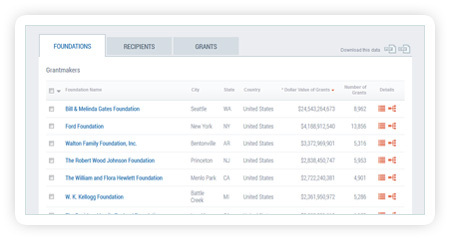 Search using advanced filtering tools, including organization name, grant amount, grant years, population served, type of support, grantmaker type, and keyword. Get details about funders, recipients, and grants. Stay informed about broad trends and monitor changes across the sector. 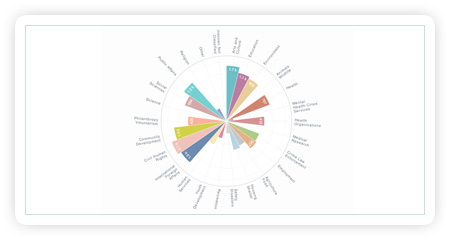 Chart the distribution of an organization's funding by subject areas and over time. Access your commonly viewed searches with one click.